Today sees the twentieth anniversary of the broadcast of Stargate SG-1's pilot episode, Children of the Gods, and it's been ten years since the beloved show concluded its landmark tenth season. To mark the occasion, I sat down last month at Supanova Sydney with the buoyant Christopher Judge, who played stoic Jaffa warrior Teal'c for the show's entire run and its two movies, The Ark of Truth and Continuum. Below, we talk about the impact of SG-1's legacy, Christopher's upcoming role as the new God of War, and the experience of fighting Aquaman in (Stargate) Atlantis! Chris Comerford: So first of all, how's it going? 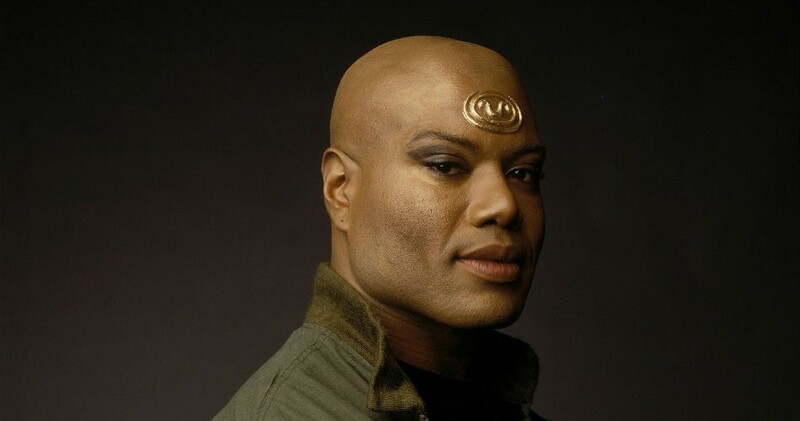 Christopher Judge: Very well, very well, thank you! CC: Excellent! So it's been ten years since Stargate SG-1 was off the air, and twenty since it premiered years. How does it feel to look back on your time with the show and its movies now? CJ: You know, it's very strange, to just see the enduring popularity of it, and the fan support of it, because as you said, it's been ten years since we stopped the show. It's just great to know you've made something that's lasting and means so much to people. It's just a great feeling, you know, it really is. I think we all want to do something that leaves some sort of impression, and definitely Stargate has done that. CC: I think it definitely has. Do you still keep up with a lot of the cast and crew from the show? CJ: You know, we try to keep up. The weird thing is you make these great relationships, and not just Stargate but any show that you spend a lot of time on, that are very real. But then the show ends, you go back to your life. Other than conventions, I really don't see anyone anymore. But my son and daughter just moved back to Vancouver, and my son was working with [SG-1 director] Martin Wood, and [SG-1 actress] Amanda Tapping actually went by to see him and say hi. So the feelings are still there, but just because of geography and kids and real life, we don't really get a chance to keep in touch that much anymore. CC: Do you have any memorable stories from the set that still leap to mind? CJ: Oh God, tons of them. [laughs] I've said before that Stargate really ruined me for other sets, because you want every set to be as full of laughter and joy and caring as the Stargate set was. But the reality of it is most of them aren't. [laughs] It makes you appreciate how special that really was. 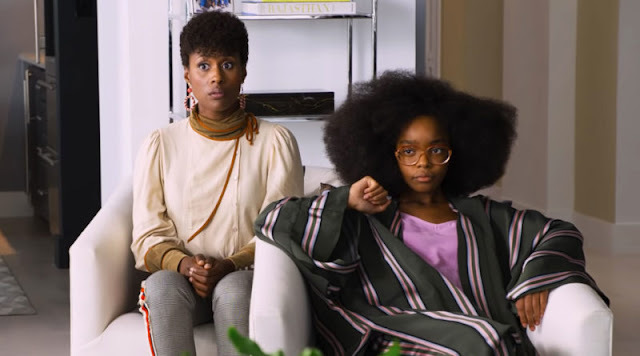 CC: It sounds like it would be a unique experience, having that kind of very familial presence on-set. CJ: Yeah, absolutely. It extended to everyone. Not just the cast, not just the crew, not just the writers. I mean, everyone was free to bring their kids everyday, their pets, their extended families, and we all got to know everyone's families, and as you say, it was a singular experience. It really doesn't happen anymore. CC: The image of little kids running around the SGC is pretty hilarious. CC: So you're in the new God of War video game, coming out next year. What's been the experience there as a voice actor, compared to your live action roles? 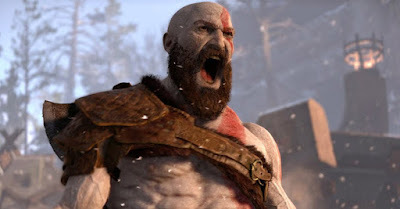 CJ: I'm not in the new God of War, I am the new God of War! [laughs] It's not just a voiceover gig, it's a full on motion capture thing. It's the entirety of it. So it took me by surprise how demanding it is. You know, when you shoot traditional film and television, when you're not on camera that's your rest time, your down time. But in this process, you know, we have about 70 cameras overhead, a camera that's in your face, and then a camera that follows you, so you're never off-camera. So you don't get takes off, every take is full go. It took some getting used to, and I was really, frankly, surprised how much work goes into games as opposed to film and television. CC: Sounds like a unique set of pressures in that performance. CJ: Yeah. And you also don't feel... Like, I've been in big movies, I was never the lead of it, so I didn't have that pressure on me. I was just part of it, I was a spoke. But with this and all the excitement and hype around it, sometimes I definitely do feel the pressure of expectation. But you know, it's great, that's what you want in for you terms of happiness, so it's gonna be great. CC: It does sound like it's gonna be great. 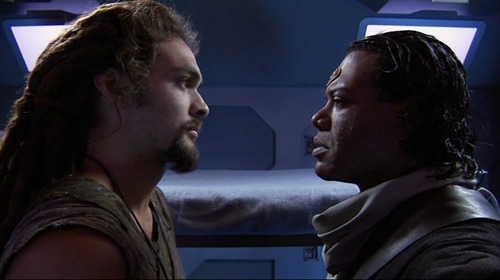 CC: Just finally, there was an episode of Stargate Atlantis where you were a guest star, and you had a sparring scene with Ronon Dex, played by Jason Momoa - who, of course, is now playing Aquaman in the DC Comics movies. So how does it feel to look back and know you fought Aquaman in Atlantis? CJ: [laughs] I know! Isn't that cool? You know, we were in Paris last year, and just sitting there talking, and we were just kinda saying, like, 'Who'd've known, you're Aquaman, and I'm the God of War now', and just thinking on where your career takes you. The great thing about Momoa is that kid has not changed, even through Game of Thrones and now Aquaman, through all this great success he's had, he's never changed who he is. He's just this great, loving dude, you know. It's just refreshing to see that he has not been tarnished by the whole experience. He's really taken it, enjoyed it, and he still is who he is, and he's never going to change no matter what kind of success he has, so it's just really refreshing to see that. CC: Awesome, thanks so much for your time, Chris! Chris and Christopher and the Supanova Sydney convention. 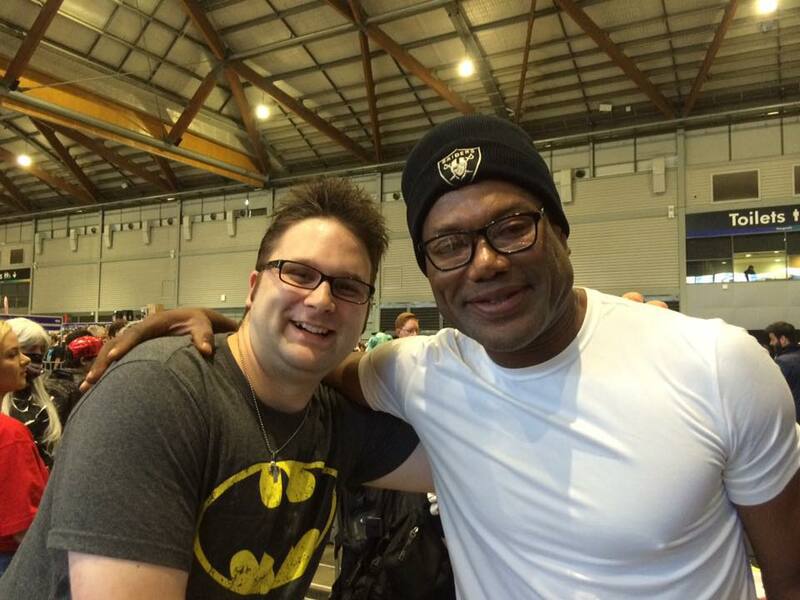 Geek of Oz would like to thank Christopher Judge and Supanova for this interview.